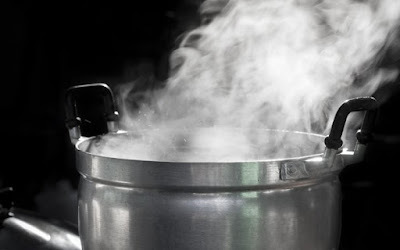 A 31-year-old man, Victor Obi, was on Friday charged before an Ota Magistrates’ Court in Ogun for alleged pouring hot water on his neighbour. Obi, who lives at N13, Adekanbi Street, Iyana-Iyesi, Ota, is facing a charge of assault. The prosecutor, Cpl. Abdulkareem Mustapha, told the court that the accused committed the offence on Oct. 10 at about 1.30 p.m. along Obasanjo Road, Onipanu, Ota, Ogun state, Nigeria. Mustapha said that the accused assaulted one Juliet Omoigui, by pouring hot water on her, thus inflicting injuries on her body. He said that the offence contravened Sections 351 and 355 of the Criminal Code Vol.1, Laws of Ogun, 2006. The chief magistrate, Mrs Funke Odubanjo, granted bail to the accused in the sum of N200,000 with two sureties in like sum. Odubanjo said that the sureties must be residing within the jurisdiction of the court and should be gainfully employed. She also directed that they should swear to an affidavit of means and submit four recent passport photographs to the court. The magistrate added that the sureties should show evidence of tax payment to the Ogun State Government and their addresses should be verified by the police. Odubanjo adjourned the case till Dec.13 for hearing.